Whether you’re a carnivore, pescetarian, vegetarian or vegan, you’ll find the food you’re looking for in the deliciously diverse cuisine of India. I am personally a meat eater, but because the vegan food in India is so delicious, it’s easy to avoid meat completely when travelling there. To me, the rich vegetable curries, crunchy papadum and soft naan are the best dishes. When I’m travelling in India, I’m on a completely vegetarian or vegan diet. India can be a pretty difficult place to travel and getting from point A to point B can really test your patience, but when you arrive in a new town and get to taste the regional specialties, it makes it all worth while. 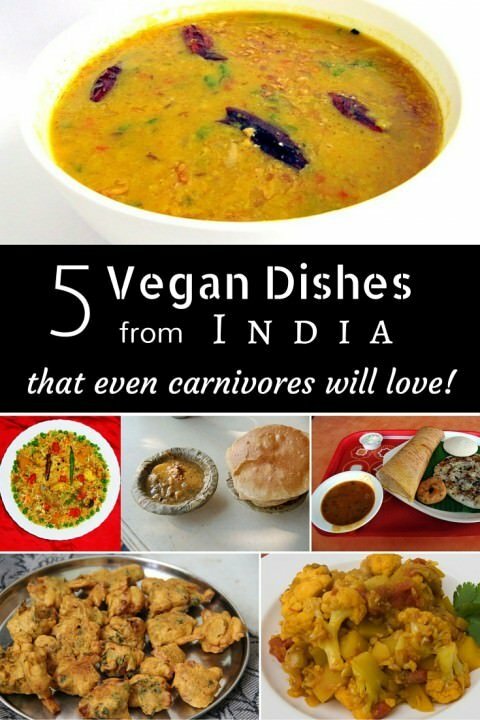 While I do enjoy the cream based curries and buttery naan breads, some of the best Indian dishes are completely vegan. Before we get started with our favourite dishes, I’d like to introduce you to a few key words in Hindi because if you’re looking for vegan food in India, these words will be handy when ordering your first Indian meal. Note: If you’re shopping at grocery stores to cook for yourself, you can use the country-wide mandatory labeling (below) to ensure that your ingredients are vegetarian. Unfortunately, there is no vegan (pure-vegetarian) labeling as of yet. Luckily for vegans, even after siphoning off the meals on the menu that include the above ingredients, you’ll still have a lot of tasty dishes to choose from. Some of the dishes below may be garnished with butter or cream and while it’s easy to ask for them to omit those ingredients, your best bet is to go to “pure vegetarian restaurants”, which won’t use any animal products. If you’re travelling with a guide who speaks the local language, you’ll be able to order vegan food in India with no problems. If you’re travelling independently, practice the above words or ask around for someone who speaks English. Vegetable Biryani: You’ll have to request that they fry with oil, not butter. This is the Indian version of veggie fried rice and it’s absolutely divine. With a huge mix of spices including nutmeg, mace, pepper, cloves, cardamom, cinnamon, bay leaves, coriander and mint, it’s no wonder that this flavourful dish is famous all over southern Asia. You’ll often find dismal attempts at a veg biryani served in train restaurant cars, but your best bet is to hit the streets for this meal. Quality and flavour can vary greatly, but if you get a good one, you’ll be craving more! 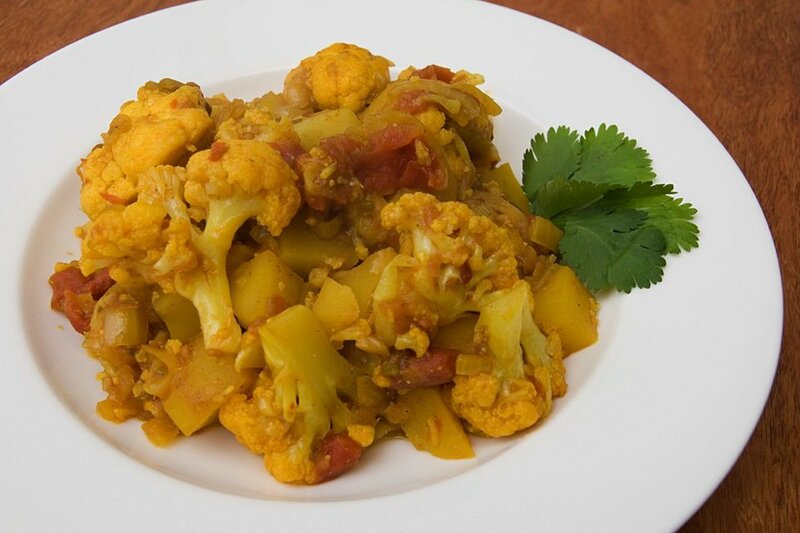 Aloo Gobi: Directly translated, Aloo Gobi means “potato cauliflower” and it’s just that. This savory dry curry is typically spiced with turmeric, curry leaves and sometimes kalonji. The turmeric gives the dish its yellowish hue, while garlic, ginger, onion, coriander, tomato, peas and cumin round off its flavour and add to its robust aroma. Aloo gobi is best eaten with a delicious plain naan bread or chapati (no butter). Aloo Puri: Puri refers to the delicious, whole-wheat, puffed bread that accompanies this famous South Indian favourite. The potato (aloo) comes in a delectable spicy gravy and makes the perfect dipping sauce for the steamy bread pockets. Masala Dosa: This scrumptious dish is typically served for breakfast or lunch and it is completely vegan as long as you confirm that they don’t use ghee (clarified butter) to fry it. Masala Dosa is a thin, crispy, savory pancake made from fermented rice and dahl (lentil), wrapped around a mix of curried potatoes, onions and spices. The mixture is typically dipped in chutney and sambar or a side of curry gravy. Technically a South Indian dish, Masala Dosa is also one of the most popular exported Indian meals and it is found in many parts of Southeast Asia and Nepal. You have to try it, it’s the best vegan food in India, and one of our personal favourites! Note: The masala dosa pictured below (center of the photo) is accompanied by idli and vada (to the right). While these two sides are tasty, sometimes they are made with fermented milk as well as rice flour. Ask before eating them. Pakoras: The perfect vegan snack! Pakoras are small, bite-sized bits of spiced (eggless) bread and mixed vegetables, deep-fried and often served in a folded newspaper. There are some that are made with chicken and cheese, so you’ll have to request vegan-friendly ones. Street stalls around Kolkata and Chennai cook up some of the best pakoras, but you can find them all over the country. They make for excellent train food for those long, hungry journeys. Dahl Tadka: This dish is sometimes garnished with ghee (clarified butter), so ask them not to do so. It’s worth the request because this is one of the best dishes to ever come out of Punjab. 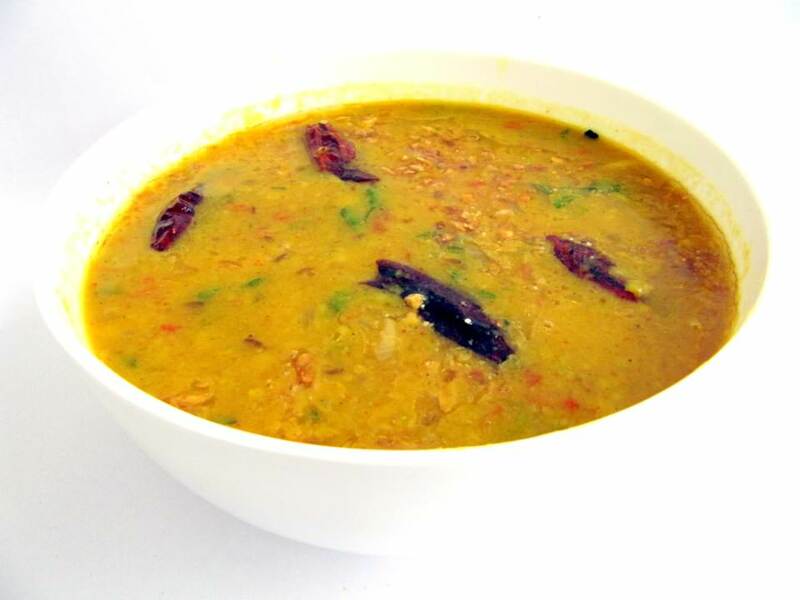 Known as “yellow dahl“, the simplicity of Dahl Tadka is what makes it so delicious. Made from onion, ginger, garlic, tumeric and of course dahl (lentils), this thick, steamy yellow curry can often be found in thalis (all-you-can-eat Indian lunches). If you’re looking for protein packed vegan food in India, this is one of the best dishes. All of the dishes above are best eaten with papadum (a thin, crispy chickpea chip) or naan (delicious, soft bread made in the tandoor oven). If you’re planning a trip to India, make sure you try as many different dishes as you can. You can order any vegan meal on the menu and know that it will be delicious and healthy. Indians have a very close connection with their food and they take pride in their spices, flavours and aromas. They also consume less meat per capita than any other country in the world, so they’ll understand and honour your requests! If you’ve read our articles about India you know that we love to travel independently, but if you’d like to experience India’s culture, cuisine and chaos without any stress or frustration, consider a 2 week package with Eshores.co.uk. The Golden Triangle trip will take you through Kerala which has some of the best food in the country. No matter how you visit India, make sure you do as the locals do and eat with your hands, get a bit messy and enjoy the communal ambiance of an Indian meal at a restaurant. This is the best place for food-loving vegans, so get your taste buds ready for a spicy adventure through one of the most culinarily diverse countries on earth. I’ve always loved Indian food, but since becoming vegetarian, it has become a much much bigger part of my diet. It is such an easy cuisine to eat without meat and animal products. Tadka Dahl and Chana Masala are my favourites – I now find myself ordering lots of vegetarian sides, with bread or papadums, rather than any main courses! Unfortunately, we’ve never been to India but I am desperate to go so that I can try the food there – I can’t even begin to imagine how tasty it is! Indian cuisine has to be the best food for vegetarians/vegans for sure! All of the dishes are so satisfying 🙂 Definitely get to India, the food is amazing! India is the one place in the world that does veggie-friendly food right … love sitting down to a Indian meal due to its rich diversity of flavors! We are constantly reminiscing about meals we had in India! Like you said, the food selections are diverse all over the country, and the veg/vegan dishes are delicious. We are meat eaters, but in holy cities in India that were strictly veg only we often went several days, even weeks without eating meat and didn’t miss it! We actually preferred to be vegetarians/vegans while in India. We were Vegan for 3.5 weeks in an ashram, and vegetarian throughout the rest of the country ( I think we had chicken once or twice only.) The food is amazing. Thanks Hannah 🙂 So delicious, I’m hungry…. Hi, I enjoy your travelogue immensely as your are living my fantasy. Just a small correction on one of your notes above on the side dishes with masala dosa. Idly and vada are not made from fermented milk but as dosa with rice and lentils thus very much vegan. My two trips to India both happened before I was vegan, but even then I only ever ate vegetarian food while there. There’s such a huge variety of dishes, and they all taste amazing! I have just a couple points to make: naan is usually made with yoghurt and is thus not vegan. Chapati and pappadums are, though. Also, I could be wrong, but I’m pretty sure the term “pure vegetarian” as used in India still includes dairy, just no meat or eggs. Veganism is actually not a well-understood concept among Indians, as cow’s milk has traditionally played such an important, symbolic role in their diet, particularly for Hindus. Thanks for the heads up Wendy, we’ll look into making changes to the article 🙂 Cheers! Cow is considered as a sacred animal and in ancient India every household use to have at least one cow! Considering the way they were treated it was humane thing for us at that period.. And they were not huge in number to contribute to global methane pollution… Now that the things have changed with increasing population and growing mass dairy farms this diet is unsustainable for the ecosystem in India as well. But there is hope that we will stop using dairy products as the sacredness of cow is making us to do it(cows post milking period are bane to the farmer and are forced to sell them to slaughter houses). Hindus may support reducing cattle population and put dairy out of their plates! Shakahari means ‘vegetarian’ not vegan. 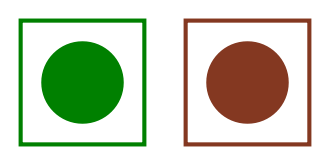 Please change this. It is potentially misleading. If you say you want shakahari food in India it could contain dairy. These foods all sound really good! I’m especially intrigued by the pakoras. Since I’m not vegan, I’d probably opt for some that have chicken or cheese; however, they sound tasty even without those additions. I’ll have to try some of these Indian foods out. Thanks! I am going veggie and definitely think that Indian food is the best there is for vegetarians….Mexican not far behind. The spices really make it.I hope to go to India some day. The taste of Indian food is just the best! I have tried Dosa and that is the best dish I have ever tried… I just loved the test of it. Apart from that Khaman-Dhokla is very good in the test. I have tried Pakoras to but they are calling it Bhajiya. Idli and Vada is made from fermented milk??????? No its NOT..its made from fermented rice and urad dhal. Indian food is real happiness.. These 5 dishes are having different tastes along with very easy method of preparation. They are right even carnivores would love it! I loved it too much Vegitable biryani & Masala dosa are my favourites.. Thanks for sharing these. vegan food most of the people think that the non-tasty and non-intersting foods but the thing is not like that you showed your blog and recipes very tasty and nice recipes.